I was browsing my Twitter feed a while ago and came across a very exciting tweet written by Visit Champaign County. There’s a new ice cream shop opening in Urbana today! It’s called Red Bicycle Ice Cream and the owner is dedicated to using fresh local ingredients. I have quite the sweet tooth so I’ll definitely be trying the treats at this new spot. Check out the press release to learn more. Thursday was a big day for Ed Mehnert, the owner of the Red Bicycle Ice Cream shop. 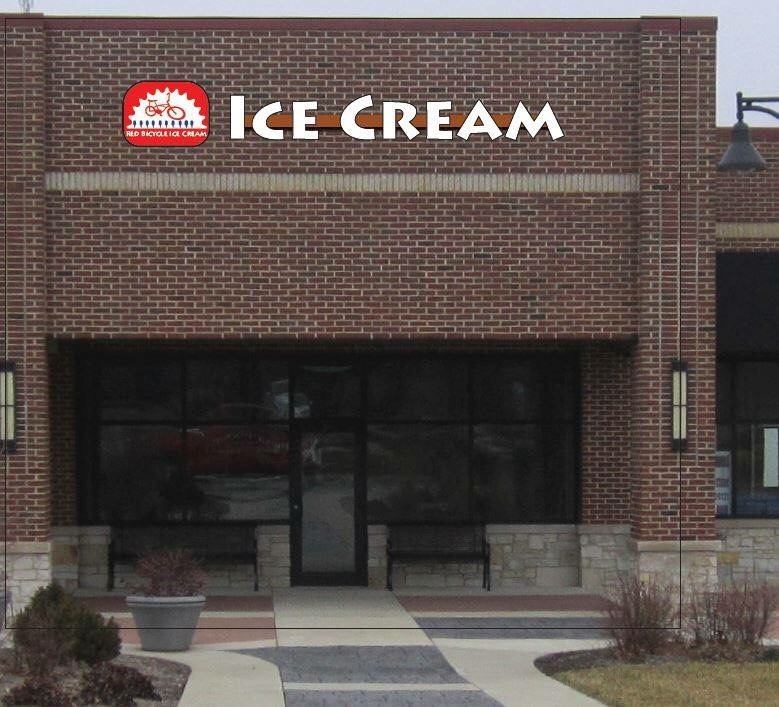 About 3 p.m., he secured his health permit to operate his new ice cream parlor, which will be located at 2740 Philo Road, Suite D, in The Pines retail center in southeast Urbana. Next up, a soft opening to the public on July 4. He’ll then open on a regular basis starting on Thursday, July 6, from noon to 9 p.m. He’ll be open Wednesday through Sunday. “Our mission is to provide a moment of joy for our customers through our products,” said Mehnert. 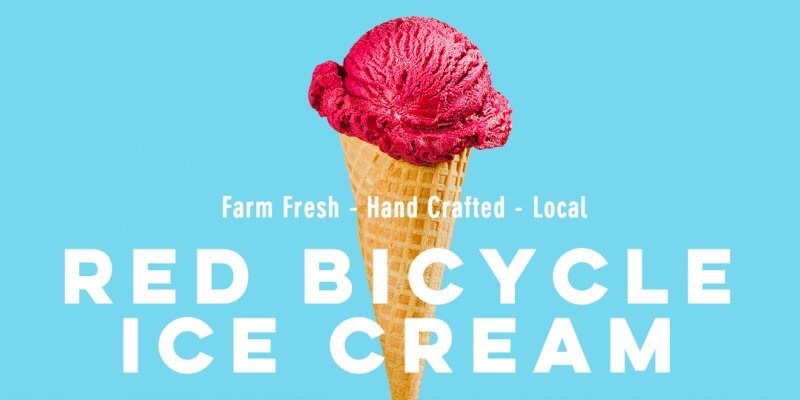 Red Bicycle Ice Cream will offer farm-fresh, hand-crafted ice cream made fresh at the shop, using milk from the Kilgus Farmstead in Fairbury, Ill. The ice cream will be made inside a $27,000 machine called a batch freezer. After that, the ice cream will be moved into a a bigger blast freezer, also called an ice cream hardening cabinet, where will sit for at least 24 hours before it’s ready for sale. Mehnert expects to be making ice cream, 24 quarts at a time, three or four days a week. It’s all part of a new career path for Mehnert, 56, who worked for 31 years at the Illinois State Geological Survey as a groundwater hydrologist. He retired from that position on Dec. 31 but found that he had “too much energy” to settle into a normal retirement –not surprising for a guy whose hobby is running marathons. Mehnert has been making homemade ice cream for a couple years and decided it was time to give it a try on a retail basis. He will offer 16 flavors at a time, rotating between 50 and 70 different flavors. Some of the regular flavors will include vanilla, chocolate, strawberry, salted caramel, and a number of different varieties of cookies and cream. He will also offer sorbet, sundaes, milkshakes, veggie and fruit smoothies and hot- and cold-brew coffee. The transition from groundwater hydrologist to a small businessman hasn’t been entirely easy, Mehnert admits. 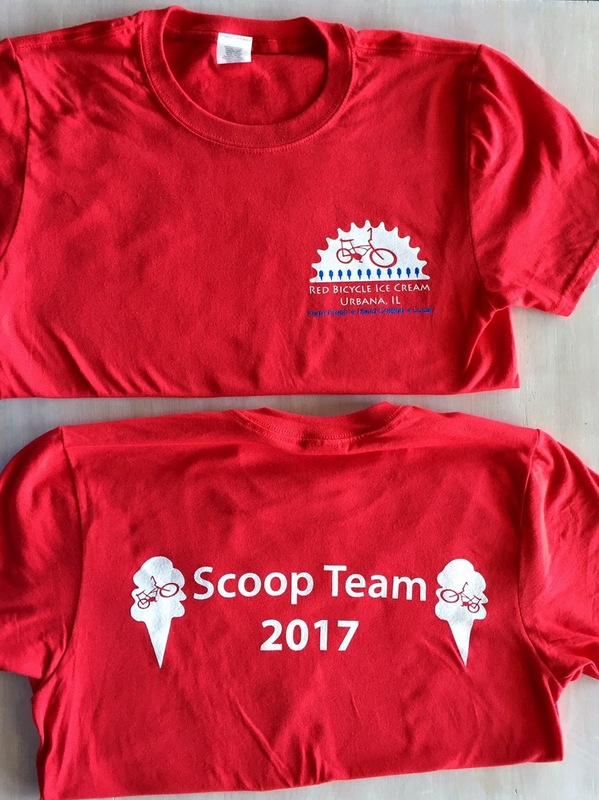 Red Bicycle Ice Cream will have 12 employees to start: 10 on the “scoop team,” an assistant manager and Mehnert. After a few months, he hopes to be open six days a week. He expects the business will be seasonal, meaning it won’t be open during the coldest winter months. Prices will be $2.75 for a single cup or cone; and $4.75 for a double cup or cone. Red Bicycle Ice Cream in Urbana to open July 6th 2017.